Is there a better alternative to Bullet Candy? Is Bullet Candy really the best app in Arcade category? Will Bullet Candy work good on macOS 10.13.4? 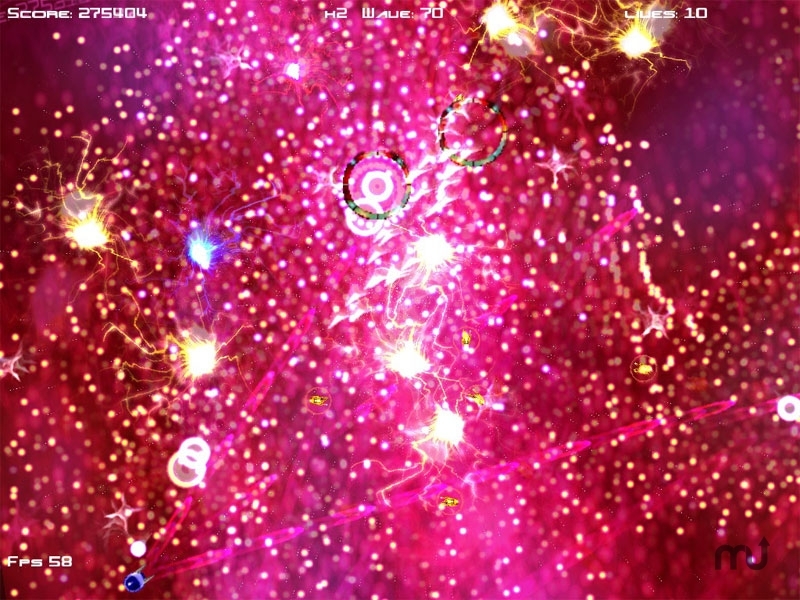 Bullet Candy allows for a true 360-degree shoot-em-up experience, viewed from a top-down perspective. With all of your enemies in view at all times it's easy to see and, more importantly, shoot them into tiny little pieces. Always In Control - Bullet Candy's controls allow for great precision of movement and aiming. Using the mouse and keyboard to aim and shoot, Bullet Candy always keeps you in control of the on screen action. Alternatively, use a dual analog control pad for a better, more natural control method. Bullet Candy needs a rating. Be the first to rate this app and get the discussion started! Gameplay Features - Bullet Candy's game mechanic is inspired by Williams classic Robotron, vertical shooters such as Treasure's Ikaruga and Capcom's Gigawing, and Jeff Minter's awesome Llamatron and Tempest 2000. Huge particle explosions, masses of enemy bullets, and beautiful feedback effects combined with power-ups, score multipliers, collectable friendly ships, laser upgrades and un-lockable bonus games all add up to make a great gameplay experience.